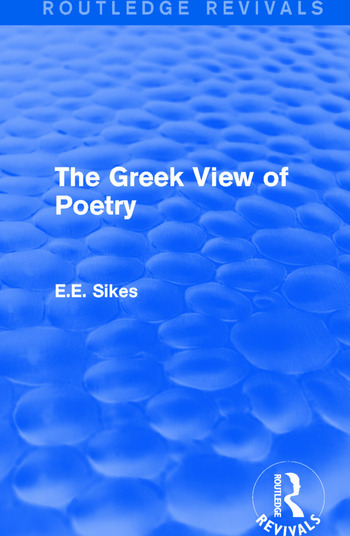 The Greek View of Poetry details critical theories and the appreciation of poetry by the ancient Greeks. Originally published in 1931, this text deals with a whole range of Greek critics from very early criticism to Longinus and his views on Homer in an attempt to provide a historical view of the importance of poetry to Greek society. This title will be of interest to students of Classics.